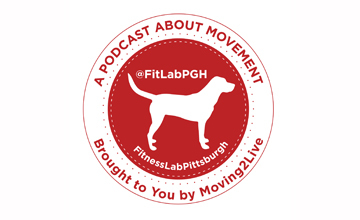 Fitness Lab Pittsburgh, aka FitLabPGH, is brought to you by Moving2Live. We are a podcast about movement and movement opportunities in the PGH, PA area because movement is part of what makes your life complete. Each week we will release an episode highlighting people, businesses, events or activities In the Pittsburgh, PA area that make movement a priority. Check out our YouTube channel– movement tips and lifestyle hacks 3x a week!! Instagram too!! Ben is a faculty member at CalU. An exercise physiologist, he holds certifications from the National Strength and Conditioning Association (NSCA), and the National Athletic Trainers Association (NATA). He has interests in injury prevention/performance enhancement for endurance athletes and using movement to enhance quality of life. After travels through Pennsylvania, Virginia, Kentucky, Georgia, Alabama and Florida for school and work he has been in the Pittsburgh area since 2004. 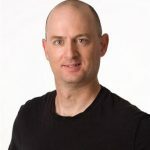 Ben is an active contributor to his profession, with work on a variety of committees of the NSCA, as well as presentations and publications both nationally and internationally. The idea for FitLabPGH came during a run with his dogs when he realized that there were a variety of national fitness and movement focused podcasts, but none limited exclusively to Pittsburgh people, business and activities. Lisa divides her work time between practicing corporate law, teaching Pilates and leading the behind-the-scenes team at FitLabPGH. Off the clock, she enjoys a variety of fitness and movement activities, including walking, cycling, Pilates, yoga and regular walk/jogs with her boyfriend and his Labradors. 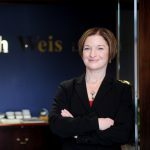 Lisa became a fan of Pilates during law school when she discovered it not only relieved the physical and mental stress induced by long hours spent hunched over a computer or textbooks, but it also allowed her to reawaken her dormant inner gymnast with workouts that incorporated inversions, backbends and splits. Lisa earned a BA in Political Science and a law degree from the University of Washington in Seattle and completed her comprehensive Pilates teacher training at Balance Within Pilates Studio in Redmond, WA. She is a Pilates Method Alliance (PMA) Certified Pilates Teacher. Born in Pittsburgh and raised in the Bay Area of California, Lisa spent most of her adult life in Seattle before returning to Pittsburgh in 2013.